The cross has a longstanding history as a powerful religious and cosmological symbol. In some cultures, the cross design represents the ‘axis mundi,’ or ‘the centre of the universe,’ around which everything else revolves. In Christianity, the cross represents the event of Jesus Christ’s crucifixion, an essential moment in the history of the religion. Below, we’ve put together a cross tattoo dictionary, explaining the meaning behind different versions of the cross tattoo design. Anchor Cross: the anchor cross is intimately linked with one’s faith. As a tattoo design, it represents hope and grounding faith. Ankh: this ancient Egyptian symbol represents the union between masculine and feminine principles, ultimately representing life. Celtic Cross: created with green, black, and gold knot work, the Celtic cross is a symbol of Celtic heritage. The knots represent the connection between the physical and spiritual, and the loops stand for the cyclical nature of life. Christian Cross: based on the wooden cross on which Jesus was crucified, the Christian cross is a symbol of religious faith and belief that Jesus is god on earth. Greek Cross: the Assyrians used this version of the cross to represent the heavens, and it also stands as a Greek Christian symbol. Iron Cross: originating in Germany in the late 1800s, the iron cross has become a symbol of bravery and rebellion. Maltese Cross: dating back to the Crusades, the Maltese Cross represents sacrifice and courage. Tau Cross: also known as St. Anthony’s cross, the Tau cross tattoo design is an ancient symbol which represents eternal life. 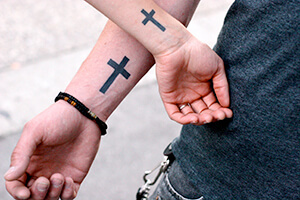 The cross tattoo design shows up in many cultures in history. Sometimes, the cross was a symbol of hope in war; other times, the cross stands as a connection between the physical and the spiritual. 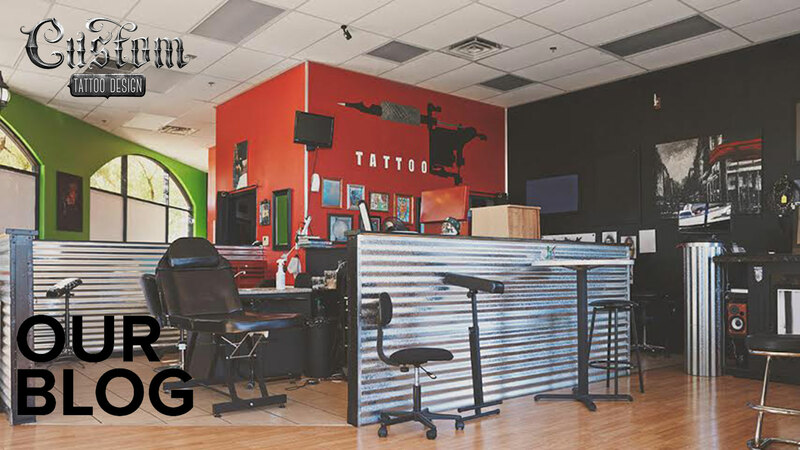 If you know of any other outstanding cross tattoo designs, let us know about them in the comment section below!